Richard B. Gaffin, Jr. and Lane G. Tipton analyze arguments for credo-baptism and discuss Reformed views of covenant and election. Many Reformed Baptists will be quick to differentiate themselves from dispensationalists. They favor a covenantal hermeneutic that seeks to take into account the redemptive-historical features of Scripture. For this reason, many confessing credo-baptists argue that the Old Covenant administration has yielded several features to the New. For instance, many Reformed Baptists argue that circumcision, the Old Covenant sign of membership, was given to physical seed, but water baptism, the New Covenant sign of membership, should only be given to spiritual seed. Moreover, the covenant included unregenerate members in its previous administration, but all people know the Lord in the New Covenant. Drs. Gaffin and Tipton analyze these and other arguments for credo-baptism. Participants: Camden Bucey, Jared Oliphint, Lane G. Tipton, Richard B. Gaffin Jr.
Bring back the one credo from episode one that silenced a whole room of paedos from episode 100! ;P just messin’… look forward to listening to this message. I believe he has since changed his views after a sit-down with these professors. Ok, JUST finished listening to this episode. I first off must thank you guys for not lumping in all Baptist and realizing that some of use come from a covenantal rather than a dispensational hermeneutic (which is much easier to deal with). Second, appreciate declaring our position accurately. Don’t see that much now-a-days. So thank you. Love you guys and appreciate what y’all do. Thanks Jason. I’m glad we were able to do this. It bothers me just as much as it probably bothers you to hear people treat all credo-baptists uniformly. Call it a bad source or simply wishful thinking, but I talked to every RB’s hero from Episode 100, and he reassured me that he remains a “Presbyterian Credo-Baptist” as before. Would love to have had James Dolezal interact with the professors, but perhaps that would have been awkward for him. Thanks for posting that link Jason. Welty does a great job of dissecting the text. Is Paul’s point that Abraham’s circumcision was somehow unique from others? If so, then I fail to see how this text can be used to establish a general meaning for circumcision. Paedobaptists may find it elsewhere, but to claim that Rom 4:11 is a “lynchpin” for paedobaptism leaves paedobaptism on very little ground to stand. This is really great to give folks access to teachers like Gaffin, Tipton, and others. I am about 300 pages into Kline’s “Kingdom Prologue” so I appreciated how they brought in the relationship between judgement & redemption in circumcision & baptism; also the distinction between historia & ordo, redemption accomplished & applied a la John Murray. I resolved the credo/paedo issue for myself in favor of paedo a long time ago when my first daughter came along. However, this was still a helpful and interesting discussion related to the balance between continuity & discontinuity between the old and new covenants. It was helpful the way they fleshed out the relationship between circumcision & baptism. …pun there. I would still go with Dr. Gaffin after reading the post, in fact I think this is exactly the kind of “gloss-over” that Dr. Gaffin is speaking about. Neither Circumcision nor Uncircumcision count for anything. This is the case for not only New Covenant, but Old Covenant as well. Neither “marked” or “unmarked” count for anything… This is the point that Paul is making. He is not arguing for “believers circumcision” in the way the post implies. Paul is arguing that REAL Circumcision is Heart Circumcision. In other words, Abraham was justified (real circumcision) before he was marked (circumcised) with the objective sign. The sign is an objective seal of What God has done TO Man. Not the other way around. This is the same point Dr, Gaffin is making. This is why Paul argues that Abraham is the father of both (real )circumcised gentiles and the (real) circumcised Jews who truly have faith (vs. 12). Baptism is also an objective SIGN. This is why God baptized (objective sign) an entire nation (1 Cor 10). Yet the entire generation fell because they put Christ to the test (1 Cor. 10:9). One could say neither “baptism” nor “unbaptism” counts for anything but real baptism counts for everything (1 Peter 4:20). Both baptism and circumcision point to the same event… Christ crucified and raised. They are both given before and after “credo”. this is why Presbyterians are not against “credo-baptisms” but they include infant baptisms because no matter who is being baptized the sign is an objective sign given to a visible people. WCF 27.6 : VI. The efficacy of Baptism is not tied to that moment of time wherein it is administered; yet, notwithstanding, by the right use of this ordinance, the grace promised is not only offered, but really exhibited, and conferred, by the Holy Ghost, to such (whether of age or infants) as that grace belongs unto, according to the counsel of God’s own will, in His appointed time. I am a member of an OPC church, yet I am a Credo-baptist. I have been working through these issues for a couple years and really enjoyed Dr. Gaffin and Dr. Tiptons discussion. It was great to hear a discussion of “Covenantal” Baptists as distinct from Dispensational Baptists. The bulk of my interaction and reading has been with Peado-baptists who are from the Federal Vision camp, and they think we are all Reformed Baptists, so I appreciate the fact that distinctions were made. Any recommendations for a closer look at the “Formal/Vital” distinction that Tipton referred to? I would like to see how this is developed and worked out. I know the understanding is that election, covenant and regeneration will not be all composed of the same individual until the new heavens and new earth and so there is an eschatological overlap with the “already and not yet”. My biggest struggle is in understand what is “sealed” to a non-elect or unregenerate person in baptism. As a Baptist is understand that baptism “signifies union with Christ”, but for the non-elect, what is God saying to that individual?………anyway I really enjoyed the show. Thanks for all the hard work. One place I recommend looking is Romans 11:11-24. The one olive tree is the covenant people of God. Unbelieving Jews were broken off and Gentiles were grafted in. We live in that present redemptive-historical reality. However, verses 20-22 indicate that branches may yet be cut off. These branches are formally united to the tree (the covenant people with Christ as their root), but not vitally united since they do not have faith and hence do not bear fruit (cf. John 15:2). It will not be until the eschatological consummation that the olive tree will only have fruit-bearing branches. Only then is God’s pruning work complete, and only then will membership in the visible and invisible church be identical. Thanks for this reference to Romans 11:11-24. I’m not convinced your interpretation is correct. You say that v20-22 refers to those who are not vitally united to Christ because they do not have faith. However, it seems clear to me that the text teaches the only way to be *grafted* in is by faith. So, from the text, I’m not certain how someone without faith could ever be *grafted* in to something they are not a natural part of. In this regard, I think your view requires you to believe that the children of believers are natural branches, but it is clear from the text that all Gentiles are wild and have been grafted in through faith. 1) This is simply how the “covenant of grace” has always operated. People have always been included as natural branches by birth and cut off when they demonstrate an absence of faith. Thus Paul is just expounding on what has always been the case regarding the olive tree and will always be the case until Christ returns. ——6. We have seen that Abraham, on the account of his faith, and not of his separation according to the flesh, was the father of all that believe, and heir of the world. And in the covenant made with him, as to that which concerns, not the bringing forth of the promised Seed according to the flesh, but as unto faith therein, and in the work of redemption to be performed thereby, lies the foundation of the church in all ages. I, like you, have put in years studying the issue. Not to say I am anyone, but I’ve probably read over 80 books, written several seminary essays defending my previous position (credo), and on and on. During my last semester in seminary, I changed my position after putting my strongest arguments forward, then realizing they were not as strong as I thought. I am now a paedo-baptist. I recently wrote a 5-part series for a reformed magazine outlining what caused me to change my position. If you’d like to dialogue, please let me know. My biggest struggle is in understand what is “sealed” to a non-elect or unregenerate person in baptism. As a Baptist is understand that baptism “signifies union with Christ”, but for the non-elect, what is God saying to that individual? You’ll recall the references made in the program to baptism as a water ordeal, akin to the flood judgment, whereby the wicked were destroyed but Noah and his family were spared, and the Red Sea waters, which drowned the Egyptians, but were the means of salvation for Israel. So it would seem that what is sealed to the reprobate in the waters of baptism is the certainty of eschatological judgment (apart from faith and repentance). I want to be charitable as a Reformed Baptist and I thought listening to two good theologians give this their best shot might give me something to think about. But it simply leaves too many questions unanswered. The point that not all who are in the covenant are elect? I am not sure how that would give me comfort baptizing my children. But the bigger problem with this view is it represents the Mediator of the New Covenant (Heb. 8:6, 9:15, 12:24) mediating for those who hate Him and will spend eternity in hell. Or would you say that there are some in that covenant that Christ does not mediate for? How would one defend this from the Bible? Or does Christ mediate for the non-elect? If so, what does He intercede for them? The writer of Hebrews also strongly warns “believers” to hold fast to Christ, to not be like the old covenant people and fall away in the desert, to persevere to the end. He addresses them as the visible church, corporately and personally (elect and not), who is at risk and in need of being warned to look to Christ who continually intercedes for them. He excercises the same “judgement of charity” that the contemporary church excercises when it looks on members as God’s covenant people based on a credible profession. How do they know they are elect? They know they are elect as they look to Christ who is seated at the right hand of the Majesty on High. He does not single out the elect and tell them to look to Christ; everyone else can ignore the warning. In the covenant community there are those who are “from” us but not “of” us, and yet they are all “of” us until shown to be otherwise. No church, no session, no man knows who is elect and who is not. Whether one is a credo or paedo we baptise those who name Christ and in so doing baptise some who may not be elect, who may not persevere. Thanks Mark: So you will admit with Richard Gaffin says at the 21:29 mark in this discussion is the difficult issue of relating covenant with election. You cannot relate head for head everyone in the covenant with God with the elect.” Therefore you have non-elect people in the covenant with God, and these are people the Christ mediates for – (Heb. 8:6, 9:15, 12:24)? Not too convincing. You state, “In the covenant community there are those who are “from” us but not “of” us, and yet they are all “of” us until shown to be otherwise.” But we respond that Christ is the mediator of the New Covenant and those that show themselves otherwise all along have been the enemies of Christ. They manifest that they have hated Him, Romans 8:7, and that they are under the wrath of God. 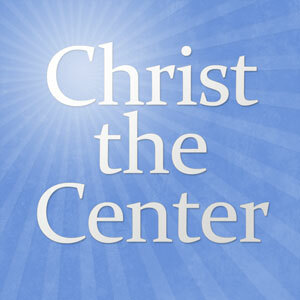 So again I ask, what is it that Christ mediates for them? They are reprobates. Not to mention that this doesn’t give us a lot of hope that this really is a “better” covenant. Hebrews 8:7 For if that first covenant had been faultless, there would have been no occasion sought for a second. 8 For finding fault with them, He says, “Behold, days are coming, says the Lord, when I will effect a new covenant with the house of Israel and with the house of Judah; 9 not like the covenant which I made with their fathers on the day when I took them by the hand to lead them out of the land of Egypt; for they did not continue in my covenant, and I did not care for them, says the Lord. See Mark: you admitted that there are those in your definition of the covenant that do not continue in the covenant. One thing Christ mediates for those who fall away is divine judgement which is largely withheld for now but will become apparent in the end. The New Covenant is better because Christ cannot fail, not because there are no Demas’s. Assurance, hope, and faultlessness of the NC are grounded in Christ exalted, not in whether or not individual members of the covenant community persevere. The elect & the covenant community will by equivalent only when Christ returns to take his perfected bride. Until then any church who baptizes will baptize some who will fall away. Thanks Mark: I will reply no further. If you can say Christ mediates judgment and Demas’s are in the New Covenant, there is no use having a dialogue. I will always remain a Reformed Baptist. There is no a single reference given scripturally for either statement. But Christ mediating judgment at the right hand of God for the non-elect is borderline humorous at least. Matt 25:31,32; Jn 5:27; Acts 10:42 & 17:31; Phil 2:10; II Tim 4:1 speak to the issue of Christ as future judge in his function as mediator of the new covenant. Matt 28:18; Jn 5:27; Phil 2:9,10 make it clear that the honor of judging was rewarded to Christ as mediator for his attoning work and as part of his exhaltation. Once again Thomas, It is not Christ issuing judgment to the “Non-elect” that Mark is pointing out, but Christ issuing judgment to those who WERE in “covenant” with him. If we keep conflating “covenant” with “elect” then we will fail to understand Gaffin’s position let alone every single hortatory subjunctive given to the Church in the New Testament. We miss the fact that the 5 churches in Revelation had their lamp stands removed! Since they were in covenant it has become even worse for them than it was before (2 Peter 2:20). Hope that helps… I know it helped me. As one who has worshipped in the OPC for a number of years I am a bit perplexed by your statement, “Whether one is a credo or paedo we baptize those who name Christ . . .” Yes, but do not Presbyterians also baptize many who have never named Christ? I have personally witnessed many such baptisms. In fact, virtually every baptism I have witnessed in a Presbyterian church has been administered to one who has never named Christ. And isn’t that the point at which Thomas Sullivan was getting? Both Credos and Paedos agree that it would be ideal if only the elect were baptized. Both recognize that it is impossible to know infallibly who is elect and who isn’t. The question, then, is rather one of which criteria we should use in assessing who has a legitimate right to the sacrament. For Presbyterians this criteria is twofold: (1) a credible profession of faith for adults and older children; or (2) being the (very young) child of at least one believing parent (and thus receiving the sacrament without naming Christ). Sorry Mark G. I meant to give my real name. My computer seems to have assigned me a pseudonym (Pseudo-Calvin) I used some time back. By “naming Christ” I meant only a credible profession and children of believers. Regardless of one’s position on this issue all baptize as “believers” those who in fact may turn out to not be so. If it was ideal to baptize only the elect I suppose Christ would tell us who they are. Sight rather than faith would make it so much easier. I did not have in view passages which say that all who call on Christ will be save. “Claim” or spelling it out might have been a better choice of words. Suppose a man and his wife are converted. They have 4 children ages 2 , 6, 13 years. and a babe in arms. Who are candidates for baptism and why? If the infant and 2 year old are baptized without faith, why not the 6 and 13 year old? Question #166 in the larger catechism says infants of believing parent(s) are within the covenant and thus to be baptized. Would children ages 2, 6 and 13 be considered within the covenant and thus baptized? Why or why not? I would baptize all children under 18 in the household, just as I am sure the minors in Lydia’s, the Phillipian Jailer, etc’s household were baptized. What paedo-baptist communion baptizes non-infant children up to age 18 without taking faith and repentance into account? Would you baptize a 4 year old brat, or 14 year old promiscuous daughter, or a 10 year old who did not understand the gospel? The Westminster Confession XXVIII.Of Baptism 1. says that the person baptized is”giving up unto God, through Jesus Christ to walk in newness of life”. How can you baptize someone who either refuses to do so or does not understand what it means to do so? I too have wondered this question also and it would seem that Benjamin is more consistent that many other paedobaptists who would not baptize a young adult under their care, in their home. Why not also baptize the mother-in-law or granny who has come to live with you in their old age? Isn’t this what the strict continuity (dare I say radical? ), so often stresses, would call for? I believe this is Randy Booth’s position, but it has been a while. I feel that credobaptists want a law when God has already given us a law. All whom the church disciples should be baptized. Infants and children are discipled in the church, so baptize them. If anyone isn’t discipled, then don’t baptize them. There’s no age prescribed by God’s Word; what God demands is obedience to His Word by discipling our children (Deut. 6:6-7) and make disciples of all nations through baptism and teaching (Matt. 28:19-20). How that happens in the church depends upon each person’s particular situation: are they or are they not considered under discipleship in the church? Let the pastors and elders use wise judgment in accordance with God’s Word to make that determination. But why do credobaptists demand a new law when they clearly reject God’s explicit commands? Thanks for the reply. I’m replying here because I could not find a reply button under your comment. For clarity then, if granny comes to church with her believing son-in-law who is taken her in, for those are his rules, then she should be baptized, right? I noticed you said that the church should baptize disciples and you also said that we should “make disciples of all nations through baptism and teaching.” For clarity do we make disciples by teaching alone, baptizing alone, or the necessary conjunction of the two. Thanks. As to your comment on rejecting God’s explicit commands, that is preposterous. In fact, any presbyterian worth their salt would say that infant baptism is not explicitly commanded, but by implication only. If by explicit you mean the great commission, then it’s not only credos that reject your interpretation of that command, but a great many paedos also who do not automatically baptize adults who are pupils in the church, but only those who profess the faith. FWIW, I’m not denying the validity of good and necessary consequence, for that which is logically deduced from scripture is also the word of God. But as of yet I have not seen the sound argument that necessarily implies the baptism of non-professors. Let me first respond that I know baptism is an emotionally-charged issue and that forum rules encourage civility. I am certainly interested in conversing with Christian brothers who disagree with my views with charity. So thanks, up-front, for the polite tone of your response, and I hope to convey the same in mine. I am not sure what being Presbyterian has to do with anything, unless by that you mean those within the broader Reformed camp. I am Presbyterian, but this issue comes down to one, as I’ve argued, that stands on Sola Scriptura. And my argument is that the Scripture isn’t silent on this matter, but has expressed God’s will clearly through His commandments. Of course there is no commandment to go baptize infants specifically, but I believe it is assumed in the commandments to disciple our children continually as well as to make disciples of all nations by baptizing and teaching. The fact that paedobaptists don’t argue with my conviction or may, as you suggest, disagree with me is frankly shameful. Do we not believe that Col 2:10-12 connects the Abrahamic sacrament of circumcision to the New Covenant sacrament of baptism? If so, then did God’s interest suddenly fade from the day when God actually sought to kill Moses for not circumcising his child (Ex 4)? I don’t believe so, as Paul clearly used inflammatory rhetoric to chide the Galatians for failing to understand how circumcision as a sign found fulfillment in Christ. In other words, if it’s true that few if any paedobaptists adopt my strong tone, that is not evidence that I am wrong. Please prove me wrong with Scripture alone! I continue to affirm that though there are many aspects of Christian piety that require good and necessary inferences, not all aspects qualify. Baptism is one such example because Scripture does not offer equal evidence on both sides of the issue. Whether you understand or agree with it aside, if Reformed Christians truly held to Sola Scriptura, then baptism is one place we’d all agree to baptize infants. Would I baptize granny in your example? It’s up to the church to determine if she’s being discipled. I wouldn’t argue doing so simply because a Reformed Christian adult happens to be caring for her. Again, this is as much as my mind can comprehend from Scriptural evidence. As to your second question, churches are responsible for making disciples through Word AND sacrament ministry. Both are required. Can these things be said of one who does not believe the gospel? For clarity, I’m not saying a child, and infant, or even a fetus, can’t believe the gospel. I believe they can by God’s grace, even as John did in the womb of his mother. But what I’m saying is that if the entire class of people spoken of in this text have been baptized, are known to be believers, and have received the circumcision of Christ without hands, then there is an inherent difference between the administration of one mark versus the other. Probably not well said, but I gotta go. Thanks again for the dialogue. I hope I’ve understood your question correctly, so I will do my best to respond. Please let me know if I’m responding to a straw man, as that isn’t my intention. Yes, Paul is assuming faith. But follow his logic in Col. 2:7-14. First, to whom is Paul writing? Verse 13 indicates his audience is Gentile: “You, who were dead in your trespasses AND THE UNCIRCUMCISION OF YOUR FLESH.” So before that Paul wrote (v. 11): “In him also you were circumcised…” Stop there for one second. If I’m a Gentile and I hear someone read that, my first thought is: “Wait, I wasn’t circumcised!” Paul continues: Yes, you were “with a circumcision made without hands, by putting off the body of the flesh, by the circumcision of Christ.” Paul’s argument is two-fold: first, Jewish circumcision looked forward to Christ’s circumcision, and second, Gentiles have been united to Christ’s circumcision as well. Accordingly, Gentiles and Jews share circumcision in common in Christ. How? Paul continues: “having been buried with him in baptism.” So baptism is the instrument by which all are united to Christ’s circumcision. 1. Were the Jews baptized by water? Clearly, John came baptizing in the Jordan, and many Jews came to him. God baptized the Jews in the Red Sea (1 Cor. 10:2). Indeed, even before Israel was created, God baptized the world in the days of Noah (1 Pet. 3:20-21). 2. Was water baptism administered before or after a confession of faith? Read any of the Gospels regarding water baptism and clearly many were being baptized (even by Jesus!) who did not believe in Him (this is how I understand John’s admonition to his disciples who were jealous of Jesus’ baptism in John 4:22-36). Even Paul in 1 Cor. 10:2 says that God baptized the Jews yet was not pleased with them. And clearly the baptism of the world in the days of Noah resulted in judgment! 3. So what baptism is Paul referring to in Col. 2? Scripture affirms there are two baptisms: one is water baptism, administered by God within the church, and the second is baptism of the Holy Spirit. We cannot see who is baptized by the Holy Spirit, so clearly we must affirm the visible church-invisible church distinction in and through the sacraments. Just as circumcision corresponds to faith and yet faith was not a precondition for the sacrament, in the same manner baptism corresponds to faith and yet is not a precondition. We have to understand water baptism as a sign of our need for something greater (baptism of the Holy Spirit) and God’s seal upon the elect. In other words, I don’t see how a Gentile or a Jew would hear Paul’s words in Col. 2 and not immediately reflect upon how God used circumcision by human hands to point to Christ but not to necessarily affirm those who were, as a consequence, in Christ. Paul must be assuming that his hearers had been baptized by the Holy Spirit and their hearts were circumcised. Accordingly, in this passage he’s reminding them of the sacraments as evidence of the work that only God can do. You said that baptism is the instrument of our union with the circumcision of Christ. I would say that we are united to Christ by faith alone and that baptism represents (flows out of) that union in one way or another. I do not mean this as a cheap shot, but as I understand it, your view sounds very Federal Visionistic in nature. Are not all those united to Christ’s circumcision glorified in the great day? Is not union, according to some (and probably most here), the chief blessing that grounds all others including righteousness, holiness, and redemption… and yet we get all these through baptism? I think part of the problem is that extra word you’ve added in there at your explanation of Col 2:11, namely, “How?” Can’t baptism and faith be further down the road than the circumcision of Christ rather than the elaboration of that very grace? As for some of the Jews not believing in Christ, even those that were baptized, is not the issue and for what it’s worth I agree. But clearly their baptism was voluntary, i.e. they professed a degree of faith by their coming unto the baptismal waters. This is a common misconception and probably well-deserved by some baptists. That is, we do not baptize believers only (for, really, who knows who truly believes? ), but we baptize those with, as it has been called, a credible profession of faith. No we do not have election goggles, just like paedos don’t even though they require a credible profession from adults who desire baptism. Thanks for your time and I’d gladly read another post from you, my brother, but unless it’s urgent I’ll gracefully bow out now. Kind regards. My bad, I didn’t mean to imply (as the Federal Visionists do) that baptism is itself the instrument. I hold to the “sign and seal’ language of our Reformed fathers; it’s effective only to the extent that it reflects true faith. But we’re not Zwinglian either, are we? Is it merely a sign? I have to confess I struggle (as a former credo myself) with how baptism can be a “seal” unless I also hold to an Arminian view (which, thankfully, I do not). If baptism is both “a sign and seal” of our salvation in Christ, and if I’m a five-point Calvinist (which I am), then I feel compelled to be a paedobaptist as well. I’ll also bow out now. Thanks for the dialogue! Rev 2:13 – To the CHURCH! James 4:12 There is only one lawgiver and judge, he who is able to save and to destroy. But who are you to judge your neighbor? Gal 4:9 But now that you have come to know God, or rather to be known by God, how can you turn back again to the weak and worthless elementary principles of the world, whose slaves you want to be once more? 10 You observe days and months and seasons and years! 11 I am afraid I may have labored over you in vain. And my favorite! 1 Corinthians 10:8 We must not indulge in sexual immorality as some of them did, and twenty-three thousand fell in a single day. 9 We must not put Christ[c] to the test, as some of them did and were destroyed by serpents, 10 nor grumble, as some of them did and were destroyed by the Destroyer. 11 Now these things happened to them as an example, but they were written down for our instruction, on whom the end of the ages has come. 12 Therefore let anyone who thinks that he stands take heed lest he fall. Could someone familiar with the practice of baptism within the OPC or PCA answer a few questions about how this all fleshes out in regards to the baptism of non-infant children in Christian families within these churches. Here are a few questions. 1. is there an age where faith and repentance are expected before baptism can take place, and if so what is that age? 2. Could baptism ever be denied a non-infant child of Christian parents who are members in good standing, who are desiring baptism of said child, because the child showed neither faith,repentance or fruit befitting repentance, as far as the elders could discern? 3. Is it proper to examine for saving faith ( for the purpose of granting or withholding baptism ) within these children? 4. Would the answers to these questions be monolithic either one way or the other or varied and opposing, within these denominations? Credobaptists frequently cite Biblical narratives to support their positions, esp. in Acts with such passages as “believe and be baptized.” Yet, while “all Scripture is God-breathed and profitable…”. we must give weight in terms of our practice to explicit commandments. God indeed commands infants and children to be baptized. Deut. 6:6-7 is His commandment to teach His commandments to our children. Matt. 28:19-20 (the Great Commission) is God’s commandment to make disciples of all nations by baptizing and teaching them His commandments. God never commands His people NOT to baptize children, but explicitly commands us to do so! That is, all who are being discipled by the church should be baptized. Who should be discipled is not a question of age, but of intent. If one explicitly rejects being discipled (as an infant cannot do), they should not be baptized. But shouldn’t an infant accept being discipled as well? As any parent knows, there are some things we just teach our kids because it’s good for them – I didn’t wait for my daughter to accept that I am her teacher before proceeding to both teach her and hold her accountable to it. And you begin discipling your infants from an early age, even the womb! While there is much to debate in terms of what baptism represents in the life of the church, this shouldn’t distract us from God’s commandment. I don’t need to reason into a paedobaptist argument; rather, it is a presupposition of the Christian life! Scripture is clear – baptize your children and all who are being discipled in the church. To do otherwise is to reject God’s Word. There is no explicit command to baptize infants and children. If there was such a command we would have no disagreement. I don’t think you would have to look to far to find paedobaptists that admit that there is no explicit command to baptize infants but that they come to their position by what they believe is good and necessary inference as they extrapolate from all of scripture. You said “God never commands His people NOT to baptize your children” Don’t you think that is a very dangerous method of determining what God wants us to do and not do. There are a lot of things we should not do even though there is no explicit command not to do them. We should determine what we do by both positive and negative commands, but also by good and necessary inference as we take all scripture into account. Richard, I agree that there are many elements of Christian piety that rely upon good and necessary inferences, but our Lord’s commandments are not among them. We are to obey, not infer what they might mean. My comment that “God never commands His people NOT to baptize your children” was related to my earlier conclusion that when you put God’s commandments together, there does appear that we are to baptize all whom we disciple, and that we are to disciple children. Hence, if credobaptists are correct that children are NOT to be baptized, then we would need an express commandment to reach that conclusion, which Scripture does not contain. Thanks for the program. As a credo I want to stand next to my paedo brother looking at our children and agree that, we are the circumcision, who worship by the Spirit of God and glory in Christ Jesus, and put no confidence in the flesh, true inward Jews, who’s praise is not from man but from God, to the praise of his glorious grace. Confidently trusting the grace and mercy and goodness of God alone to do it in them too. Its great to know how baptism relates to the Egyptian Army 3500 years ago during the Rea Sea experience, but what I would really like to know is how baptism relates to 10 year old covenant child “Butch” whose parents were negligent in having him baptized at birth but now want to baptize him. Butch, by all appearances is not a Christian. He has no love for Christ ( 1 Cor 16:22 ), and his way of living, while not particularly outrageous, is just like any other 10 year old unbeliever. What is the normative way the session in OPC and PCA churches will decide on his baptism? Will they baptize him because he is in the covenant or will they not baptize him because he is by all appearances an unbeliever? Thanks to Benjamin Glaser for his input of how he would act on the issue, but I want to know how it is normally handled in OPC and PCA churches, if there is a normal way. Isn’t there one paedobaptist who will give us an answer on how this is handled in the respective denominations? God bless you for your great question! Your question is both very practical and gets to the core of our truest covenantal convictions. People are forced to make their true covenantal convictions explicit by actually dealing with your question. I’m just sorry there hasn’t been someone who has responded to it, from the standpoint of actual ecclesiological practice (except for the very brave Benjamin Glaser). In my opinion, your question has been the best one on this whole comment thread. I’m a Presbyterian layperson and theological student, and not a church officer. I am also currently wrestling with the covenantal-credo and paedo positions on baptism. A credo position resolves your question quite easily. Presbyterian church officers, on the other hand, will not baptize non-infants who have not had a credible profession of faith. Instead, Presbyterians practice either infant-baptism OR baptism of those who have professed faith in Christ. We could perhaps expand the category of “infant” to include all those who have no way of comprehending any form of religion (0-3 years old?) I have never seen anything other than this form of church practice, nor have I ever heard of any other practice besides this. 2. Was there a willingness among all those in the household to believe and be baptized, or not? 3. Are Presbyterians mistaken to incorporate these texts into their arguments for infant baptism? 4. Are we correctly understanding Acts 2:38-39 (which has become a paradigmatic text for Presbyterians)? I’d love to see others chime in on your question, Richard. I at least wanted to venture a response, because I think your question is important and it matters. And I really thank you for raising it. Maybe you can try asking some actual Presbyterian elders and see what they have to say. I’d be curious to know myself. There is one other point to be added in response to your question. There is a further reason to restrict baptism to just infants and those who profess faith in Christ. Those who are NOT infants may either embrace OR reject the covenant. If a 6-year old embraces Christ and understands what Jesus has done for him, I see no reason why he shouldn’t be baptized. However, if that same 6-year old is taught the Christian faith and shows an unwillingness to credibly profess Christ, then baptism should probably be withheld until a later time. The willingness to either embrace or reject Christ seems to be the key distinction between an infant and non-infant. Others with a different covenantal understanding may disagree with this reasoning, but this is my own take on the matter. Thoughts? That is what the text says. David, I don’t understand the point of your comment. Yes, I know Presbyterians confess WCF 7.6. That was the whole point of my comment. The participants of the show assumed their own tradition when arguing the debated points, and in my opinion they were wrong to do so. The bible never says “different administrations”. It says “different covenants”. That was my point. If we’re going to have any success in discussing this point of disagreement, we need to stick to the biblical language as much as possible, and on this point I felt the participants did not. Okay. I assume that the choice of the word “administrations” in this instance is due to the need for a word with a more temporal connotation than “covenants” since the point being highlighted was the distinction between historia salutis and ordo salutis. Please forgive my dullness, but could someone please expand the comments made in the episode regarding the warning passages? In the view represented in the show, why is it necessary to conclude from the warning passages that covenant is wider than election? According to their view, why must an apostate be a covenant member? Why can’t he simply be a non-covenant member who has abandoned the faith? Is it because of the references to partaking of the Spirit and to profaning the blood of the covenant by which that person was sanctified? I am sure there are others on here who can give a better answer than I can but why should I let that stop me? This is the internet. Gaffin has a 20 lecture series on Hebrews. It used to be available on the web, but it is still available through Westminster Bookstore. The very REAL warnings in Hebrews are directed at believers (corporately and personally), the covenant community who truly are in a wilderness situation (compared to OT Israel) in which exhortation to hold fast; to not loose hope, to persevere to the end is pertinent. The warnings to believers are real, not hypothetical, not a scare tactic hoping to manipulate them into perseverance. Although by what has been called “the judgment of charity” the readers are viewed by the writer of Hebrews as the visible church, believers, members of the covenant, and have even tasted significant spiritual/covenant blessings, perseverance is needed so that none may succumb to unbelief and fall away in the desert like the Israelites did in the wilderness. In order to hold fast they must look to our Great High Priest, Jesus, who is seated at the right hand of the majesty on high (Hebrews 8), and who knows our weakness because he learned obedience by what he suffered. So what about assurance? Assurance is in Christ and holding fast to Christ, not in a profession I made 30 years ago or something I can conjure up. I can be certain of my salvation because I know that Christ cannot fail and he promised to never leave nor forsake, not because Mark G has convinced himself. Although the warnings are real, the author is sure their faith is real and that they will persevere (by judgment of charity). He can look at his readers, recognize their need for exhortation and their at risk situation, and at the same time view them as covenant members and believers. However, he does not know their individual hearts and he cannot divide the sheep from the goats. He does not have an “over realized” eschatology. An apostate is not a covenant member by virtue of their being apostate. The Epistle to the Hebrews is addressed to believers, covenant members, who are none the less at risk and to whom a word of exhortation is relevant, not to apostates. The wilderness motif is important in Hebrews. The author compares the situation of his readers to that of the Israelites (members of the Old Covenant) and warns them not to fall because of unbelief. Not only is the NC people in the wilderness like Israel, they have an even greater responsibility because they are members of a better covenant. They have a better mediator, a better prophet, priest and king. These are just my musings. Maybe they will help someone; maybe not, but if not no big loss. This is the internet. Just one more…. I think a lot of these discussions and debates are ultimately a result of differences in how one understands covenant theology. The surface issues are only secondary and the result of different starting points. Different starting points end up with different conclusions. Commitments to certain conclusions rule out certain starting points. I think a lot of these discussions and debates are ultimately a result of differences in how one understands covenant theology. The surface issues are only secondary and the result of different starting points. Different starting points end up with different conclusions. Well, obviously 🙂 But I thought the whole point of this episode was to try to address some of those underlying differences. Therefore, if the participants in the show argue that the Reformed Baptist reading of Jer 31 is wrong because the author of Hebrews teaches a dual-sanction, two-sided New Covenant, how is it helpful to then say that a Reformed Baptist won’t come to the same conclusion reading the text of Hebrews because they have a different understanding of covenant theology? Wasn’t the point of citing the warning passages in Hebrews an attempt to disprove an RB understanding of covenant theology? In other words, how is it helpful to cite the warning passages as a refutation if they are a “surface issue” and are a result of differing covenantal presuppositions? I still fail to see how the warning passages necessarily teach a dual-sanction, two-sided New Covenant. I realize that some find it helpful background context for understanding the warning passages, but there is nothing in the warning passages that demands a two-sided view. R. F. White has a chapter in the Knox Colloquium on Auburn Avenue titled “Covenant and Apostasy”. In that chapter, White affirms his commitment to a two-sided, dual-sanction New Covenant, but he does not rely upon this commitment to explain the meaning of Hebrews 6:46 & 10:29. My contention is that we should take our cue from the rhetoric of rebuke and reproach elsewhere in the Bible and interpret the biblical writer’s attribution of sanctification in Heb 10:29 as an example of reproachful irony (sarcasm). In my view, it is precisely the nature of human knowledge and faith that we have to take into account when we interpret those assertions in which the biblical writers, conditionally and otherwise, attribute salvation ordained, accomplished, and/or applied to individuals. If we do so interpret their assertions, we find the necessary suppositions of their warnings include, not the (Arminian’s) inherent reversibility of faith, but the finite nature of human knowledge and the undifferentiated nature of faith initially confessed. So when you say The Epistle to the Hebrews is addressed to believers, covenant members, who are none the less at risk and to whom a word of exhortation is relevant, not to apostates. I would respond, with White, that you cannot make that claim precisely because the author of Hebrews does not know who is an apostate, so you cannot know it was NOT written to them. The book of Hebrews was written to professors, among whom may be believers, and among whom may be apostates. At this point then you and I would come to the text with different understandings of covenant membership. You think that someone is a member of the New Covenant through profession (or profession of their parents). I think that someone is a member of the New Covenant through saving faith. Therefore, you say the epistle to the Hebrews was written to covenant members, while I say it was written to assumed covenant members, who may in fact be apostates and therefore not covenant members. However, he does not know their individual hearts and he cannot divide the sheep from the goats. He does not have an “over realized” eschatology. I dont think this is an accurate or fair reliance upon the “over realized” rebuttal. No Reformed Baptist believes they can know individual hearts. We simply admit that goats are not covenant members and that not everyone who has been baptized is a covenant member. Ha, I thought you had a question when it appears in fact you already had all the answers. My bad. Please don’t misunderstand my comment or question. It was not a bait and switch. It was a genuine question. Yes, I have answers, but I would like to understand why the participants of the show think my answers are wrong. I am trying to understand why they believe the warning passages necessitate their view of covenant theology. I read White’s essay last night after talking to you, so it clarified a few things in my mind. I really wasn’t just trying to set anyone up. Please forgive me if it came across that way. Based on the above argumentation, you seem to throw in the idea the the author of Hebrews is limited in his knowledge of who may or may not be in the “real new covenant”. I would agree with your understanding of this idea. The author of Hebrews has no idea who is or who is not in the “real covenant of election.” Nevertheless, the author argues that the people are nevertheless in the visible covenant community of God. The author of Hebrews does explicitly make it clear that those people who apostatize were “sanctified by the blood of the covenant.” If we read sarcasm into the text, then when does the sarcasm begin and end? This position is woefully untenable. This would mean that Hebrews 2:1 , 3:12 ( notice the reference is to “brothers”), 4:1, 4:11, etc. would all have to be taken sarcastically. I would wonder if we are also to take Galatians 5:4 sarcastically becasue the Apostle Paul speaks of “falling from grace” and being “Severed from Christ”. How is one severed from Christ if he wasn’t already joined to Christ to begin with? Or to be even more frank, Jesus Christ (who obviously did KNOW the hearts of every man) states clearly “Every branch in me that does not bear fruit he takes away, and every branch that does bear fruit he prunes, that it may bear more fruit.” I do not think this was Jesus being sarcastic. So what do we do with these texts (see the above reply that includes all of the Revelation passages)? You can either adopt the Historically Reformed position of a distinction between covenant and election becasue we are in an already/not yet eschatological epoch OR you can be an Arminian. the author argues that the people are nevertheless in the visible covenant community of God. 1. The author does not argue that point, he assumes it – since it is quite obvious the people he is referring to are part of the Christian/church community. 2. But you’re taking that a step further and assuming he believes they are covenant members because of your commitment to an outer/inner covenant. This is nothing more than assuming what you’re trying to prove. This would mean that Hebrews 2:1 , 3:12 ( notice the reference is to “brothers”), 4:1, 4:11, etc. would all have to be taken sarcastically. I don’t think you understand the argument. There is no reason to believe those passages have to be taken sarcastically, because, as we’ve already agreed, the author does not know who is and who is not elect and therefore true “brothers”. He thus addresses them by their profession. This is entirely irrelevant to his address to someone who has abandoned that profession. If you haven’t read White’s essay, please refrain from attempting to refute it. It’s unhelpful to the discussion. White says that John 15 and Romans 11 are not sarcastic, and he gives reasons why. I don’t believe he addresses Gal 5:4. Since my point was to discuss the Hebrews passages, since Camden threw it down as a direct challenge, I’d like to remain focused on those (and I would love to get a response from Camden, since he’s the one who asked how I could possibly understand the passages, and I have given an adequate understanding). I’d be happy to discuss those other passages at another time. I have been checking on a semi-regular basis to see if someone would attempt to give a definitive answer on what we are going to do with “Butch”. I learn more about a person’s or church’s real beliefs on covenant membership by their position on what happens to Butch than all the exposition of Hebrews 6&10, 1 Corinthians 10, or Colossians 2 they can articulate. If Butch is born to Christian parents and was to be baptized in infancy because he is a covenant member ( Westminster Larger Catechism Q. 166 ) then why not baptize him at 10. Is he not in the covenant anymore? If covenant membership for children born into Christian families does not have anything to do with real personal faith ,( if it did we would never baptize infants) then why deny Butch baptism? Thank you C. B. for responding. I also would like to see some in leadership tell us what they are going to do about Butch, and why. By the way I am a member in an OPC church, taking an exception on the issue of baptism, which the session has graciously allowed. I appreciate that in the church. I also know that Butch will never be baptized in this OPC while in unbelief. I don’t know how it is handled normally and thus my question in the above post. I will let you know what I understand on your question although others may answer it better. I know a pastor of Reformed faith who baptizes children of all ages. If the child is 5, he might ask, “Do you love Jesus?” as a question of faith before he baptizes. Is this child part of the covenant? Yes. Does this method resemble a “believers baptism” model? Yes. He gave me an explaination that we grow in our Faith, and the Faith of a young child is different than an adult (Jesus addresses this), therefore a simple question/statment is done before hand instead of a more complex statement or even a class. So if you are asking for an example rather than theology statement, there it is and take it for what its worth. I agree that this example may not line up with statements in this forum, and that it may cause more questions. Here is a question I have that is similar: If Jesus says that infants/young children are possesors of the Kingdom of God (which is a statement of Faith without any expressed qualification), and that we as adults need their type of faith to inherit the Kingdom of God, then why don’t Baptistic churches give infants “believers baptism”? With that view, you wouldn’t even need to adhere to Covenant Theology. I understand that reformed churches will baptize children that profess faith, albeit a child’s faith. I want to know what your going to do with “BUTCH”. A covenant child (paedobaptist view) by birth, now 10 and having no sign saving faith. Question: Are you going to baptize him because he is in the covenant or are you not going to baptize him because he appears to be in unbelief? Believing children are not the issue. Please stick to the issue of unbelieving children who are covenant children at birth whose parents failed to have them baptized in infancy. Your answer will give us a very clear picture of who you think should receive the sign of the covenant and why. It’s not difficult. Children have membership in the visible church by virtue of parental authority (i.e., if one or both parents is a believer), and therefore, in their case a credible profession of faith is not required for (non-communicant) membership. So you would baptize 10 year old, unbelieving, covenant child Butch? Richard, I’m not a minister so no. But yes, he’s a covenant child and therefore, on that sole basis, he should receive the mark of admission into the visible church. I apologize for my answer. I might be wrong, but I know sense more of a trap in your question rather than sense of truth. I would suggest that you speak directly with a pastor than use this forum. I don’t think I can help no matter what I say. WCF XXVIII: Of Baptism says that baptism is not just for admission into the visible church but also a sign and seal of a host of things that are not presently true of Butch and may never be. The confession says that baptism is a sign and seal of that person giving up unto God, through Jesus Christ to walk in newness of life, which Butch refuses to do. I don’t think I’m going to convince you by this response, but I feel it necessary to point out that I don’t think your argument is with paedobaptism specifically, but rather with covenant theology as a system. David’s answer was spot on from a covenantal context – “Butch” would be baptized for being part of a covenant household. There is no “age of accountability” in the Scriptures, yet there does appear to be some point in time in the life of each child born into a covenantal home (that is, a home where at least one parent is a believer) where they go from being born holy unto the Lord to being responsible for their own faith. Is “Butch” past that age? Hard to say in your example, but from a covenantal perspective, the proper question is whether he’s still under his father’s authority. If he is, then he should be baptized. If he is not, then he should make a confession since he is not part of a household of faith. I’d also add that you need to revisit your presupposition that “the NT qualification for baptism … is ‘if you believe with all your heart, you may (be baptized).” Is that a good and necessary inference from one text? Might I recommend that rather than debate people on this thread who may or may not be qualified or able to expound on hypothetical exceptions to God’s ordinary means of salvation, you study such books as “Jesus Loves the Little Children: Why We Baptize Children” by Rev. Daniel R. Hyde? CTC just interviewed him on the last podcast and I’m in the process of reading his book, in which he accomplishes the phenomenal and gracious task of deconstructing the Baptist perspective that children are to be excluded from the sacrament of baptism. Richard, I agree with Ashwin. I answered your question because I was hoping you were here to learn. I will say though that I too was once a convinced credo-baptist, so it’s not like I don’t sympathize with your difficulty here. But as you probably know, the “sign and seal” language comes from Romans 4, in connection with Paul’s discussion of Abraham’s justification by faith. And yet Abraham’s infant sons and grandsons received the same sign and seal, even though Scripture is explicit that some of them were not worthy receivers and never would be. I can’t really add to what’s already been said here, but I would urge you to reconsider how Paul understands continuity between the Abrahamic Covenant and the New Covenant, especially as highlighted in Romans 4 and the latter half of Romans 11. Perhaps if you provided biblical/theological explanations and demonstrations of your position others might learn from you. But to simply state or assert your position and then charge others with unwillingness to learn because they aren’t convinced of your assertion is rather uncharitable. James – In the comment you are replying are at least two different references to passages with explanations of his theology. Not sure what else you want there, other than copy/paste actual verses which I think do less than suggesting passages for us to read our self. Its also not his first attempt at “helping” out in this particular discussion as you will see from reading above. But like others including myself, we have decided to refrain from offering any more discussion because its not met with a reception of learning but rather entrapment. Look above and you will see the pattern. The example of Butch was given in order to find out what practice is followed in paedobaptist churches when an unbelieving covenant (so-called) child (over 2 under 18) is presented for baptism by his/her parents. I know that some folks in paedobaptist churches believe that every child born to Christian parents or parent should receive baptism, without regard to personal faith, if said child is under the fathers authority. Thus Ashwin and David have given their thoughts on what should be done ( Bill is trapped ), and that’s fine. But I want to know what IS done, not what should be done in the opinion of a few well-meaning laymen. What is the normal practice in PCA and OPC churches in regards to this issue? Is there a normal practice? Maybe you who have responded don’t know if there is a normal position in these respective denominations. Those that do know have not responded. My gut impression is that there is no normal position in OPC and PCA churches about whether Butch gets baptized or not. In fact I suspect ( I don’t know ) that Butch is not going to be baptized without some evidence of saving faith in many if not most of the churches of these respective denominations. If true that means that many paedobaptist churches refuse to give the sign of covenant relationship to unbelieving covenant children like Butch. What you do, not what you say reveals your true beliefs on an issue. Ashwin, David and Bill your thoughts are all well and good, but that does not answer my question about normal practice in the churches of these denominations. If my impressions are correct that means that your difference of opinion about who receives the sign of the covenant is not just with credobaptists but with at least some if not many of your own paedobaptist brethren. Thanks of the input. I think any further posts on my part now would not be helpful. I may check in for a while to see if anyone has input on what the normal practice is in these denominations. In all honesty, yes, the fact that paedobaptist state they do different things with a outwardly confessing unbelieving 10 yr old is a concern to me. You made your point. And if your point in all this discussion is to illustrate to us that we have a a fault in our hermeneutics because there is variance, then yes, you made your point. Thank you. But I will point out to you that you can include the Baptist brethren in this group as well in regards to calling out error in their hermeneutics based on variance of practice with baptizing children. Ask a group of Baptist pastors if they will baptize a 4 yr old who confesses to be a Christian and the answers will vary. Many have a set age of 12 even though no age of qualified profession is found in scripture. Others may not have an age 12 qualification, but will say he is too young even though Christ says himself the faith of a child is valid. Is this variance any less Biblical than the OPC example? There is still a variance, and if there is a variance…. Richard, this may interest you. The OPC and PCA have Books of Church Order which are available online. That should give you some idea of what is “normal.” There are also a variety of reports from the GA’s that may provide insight. I am not a paedobaptist, much less of paedobaptist officer, so take my comments for what they are worth… but I assume the “age of discretion” is on a sliding scale left to the “discretion” of church officers. If they feel Butch has entered this “age of discretion” and does not profess faith, then I assume they would consider him apostate/covenant-breaker, and thus not baptize him. I sympathize with your concern that what churches do with children like this reveals inconsistencies in their continuity hermeneutic. I don’t see an “age of discretion” followed by profession of faith to ever be a requirement for national Israel/membership in the Old Covenant. Thanks for a stimulating show. It has been many years since I read Jewett’s book. As I recall, I found Jewett’s book to be thought-provoking, but flawed by frequent references to Karl Barth. I was encouraged that some of you have read Jewett, however, I am not sure that he represents the current state of Reformed Baptist Covenant Theology. Fred Malone’s “The Baptism of Disciples Alone”, or Greg Nichols’ “Covenant Theology: A Reformed and Baptistic Perspective on God’s Covenants”, might have been a better choice. While I appreciate the value of Jewett’s book, there are a number of current books on the subject, by Reformed Baptists (which Jewett was not). It would have been nice if your panel had addressed recent thinking and writing on the subject. Also, there are other kinds of arguments against paedobaptism, such as that of Fred Malone and others who argue against it from the standpoint of the Regulative Principle of Worship. Also, Stander and Louw argue that the historical evidence for paedobaptism in the early centuries of the church is very weak. Perhaps you could do another show that addresses some of these topics. On a historical note: My father attended Fuller Seminary back in the early 50’s and sat under Paul K. Jewett for ST. I have my father’s copy of Jewett’s class syllabus called “Ecclesiology: Infant Baptism and Confirmation” which he later published in edited form as the book “Infant Baptism and the Covenant of Grace”. Anyway, thanks for all the good work you all do at Reformed Forum. I appreciate your ministry, in spite of our differences on baptism, and have derived much benefit from your shows over the years. Maybe you can clear this up for me. What is the following quote supposed to mean? 1. Contrary to what Gaffin and Tipton declared, I really can’t imagine a Reformed Baptist espousing a one-to-one correspondence between Covenant and Election (based off of Jeremiah 31:31-34 or any other text). In fact, I can’t see much difference between Calvinistic credo and paedo takes on this connection. Under both views, there is a larger contingent within the Covenant than within the ranks of the Elect. (Besides, most of those I have heard arguing for a hypothetical reading of Hebrews 6 have been paedo-baptists.) Brandon Adams attempted to make this observation. No one bothered to answer him. The olive tree makes sense whether those who are grafted in and then hacked off are baptized as infants or as post-infants making “valid” professions of faith. I would say that either way they “fall away” from the faith, but that’s not actually true of those baptized infants who never possess even a modicum of outward faith. 2. What’s the whole deal about being Arminian? That has me confused. Is it a reference to credo-baptists having to make a credible profession of faith of their own volition? If that’s the case, then every Presbyterian not baptized as an infant would also be Arminian. Please explain. I honestly have no dog in this fight. I haven’t come down on either side. (I frankly find it curious that so many have, considering the complexity of the sacramental tradition exegetically and historically. I’m guessing a good 90 to 95% have no good reason for their decision.) I was baptized as an infant and raised paedo. I am currently a member of a Reformed Baptist church that did not require me to get re-baptized. I lean credo but would love to find a reason to change. Unfortunately, all the paedo authors I have read strike me as people who are trying to justify something they already believed in for dogmatic rather than exegetical reasons. The only text that has given me the kind of thoroughness and substance I desire was Beasley-Murray. Paedo texts are all froth in my experience. Tell me what I can read with some red meat, and I’ll go devour that. Does anyone besides me find it curious that the Ark held no children? Shem was 98 years old when he entered the Ark. Did he really have no kids, or was he forced to leave them behind? Or did God intend to leave us a message concerning baptism? Just wondering…. I liked Gaffin and Tipton better than most, but there still doesn’t seem to be much substance there. What am I missing? Good question. I simply wanted to draw out the distinction between covenant and election, or as we often call it … the difference between formal and vital covenants. Once that is established the Baptist begin to lose their ground hermeneutically. Here is the breakdown – Arminianism view would have us believe that people can fall from grace in a soteric way. In other words, we lose our salvation. The Presbyterian Reformed would say no, but you can fall away if you are only a formal member of the covenant. So all the “falling away” passages are not concerning soteric benefits but rather their covenantal status. This means that we do not have to retreat to “hypothetical land” when we are discussing difficult passages like Hebrew 10:28ff. If the conflation between covenant and election takes place (which is what the Baptist usually argues) then anyone who is in “covenant” will be “elect” thus anyone who is in the formal will be in the vital. This is what we call an overly realized eschatology instead of an “already/not yet” eschatology. The already/not yet eschatology means that the church (the institution the Lord has made a covenant with) is a mixed community. This is why the New Testament is full of warnings to the CHURCH, and they are real warnings. The next question after we have gone this far, which I believe that you are in agreement with, is who gets the sign? What group of people get the sign of baptism? What group of people did the Lord give the sign to? Answer: Both. Both the people in the covenant (Ishmael) and election (Issac) are to receive the sign. Now the next question should be, are children in the formal covenant? Ephesians 6 seems to say yes. They are commanded to obey the 5th commandment becasue it is the first commandment with a …. “promise.” Combine that with Acts 2 “this promise is to you and your children”. But what is the promise? The promise is that it will “go well in the land the Lord is giving you.” What land? – eschatological land. But where the children who first received that promise baptized? Yes, 1 Corinthians 10, they all (every household) were baptized and many fell when they put Christ the Test. This discussion was very helpful for me, especially the discussion toward the end regarding Jeremiah 31:31-34, a text which has been a sticking point for me in my study of this topic.